Chiropractic can mean different things to different people. Birmingham chiropractor, Dr. Bob Apol, wants to show you how it’s much more than relief for back or neck pain. At The Chiropractic Office of Dr. Bob Apol, we believe that chiropractic care is an important part of a healthy lifestyle. How can the service I render do all this you ask? This is a 3 stage process. 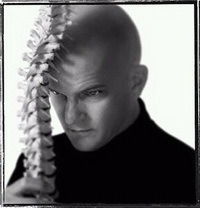 Chiropractic: as a Chiropractor I am trained in the treatment of the spine and cranium to affect the nervous system. Every tissue cell has nerve flow and if that nerve flow is out of balance then the cell and eventually the organ can become sick with mutated cells. Nutritional / Bio Chemical Support: using whole food nutritional supplements to feed the body for healthy reproduction of cells. Homeopathic support to energetically detoxify the body. Herbs, which are natures’ medicine to stimulate the healing while nourishing with whole food supplements. Understand this is a process, which takes time. “There is no finish line”. How far are you willing to go? Relief Care. Reduce your pain and find the relief you’re looking for. Wellness Care. Feel your best and embrace life doing what you love. “I want my patients to understand that I cannot ‘fix’ them, but I am here to help them understand their bodies and aid in getting their bodies to work better.” Take control of your health through regular chiropractic adjustments, proper diet, exercise, stress management and the use of whole food supplements. We can help get you on the path toward total wellness! Learn more about us and contact our Birmingham office to schedule a consultation.